When you think about the language that you use, you may think about how you speak to others. While that is important to how people perceive you and respond to you, how you speak to yourself is much more important. 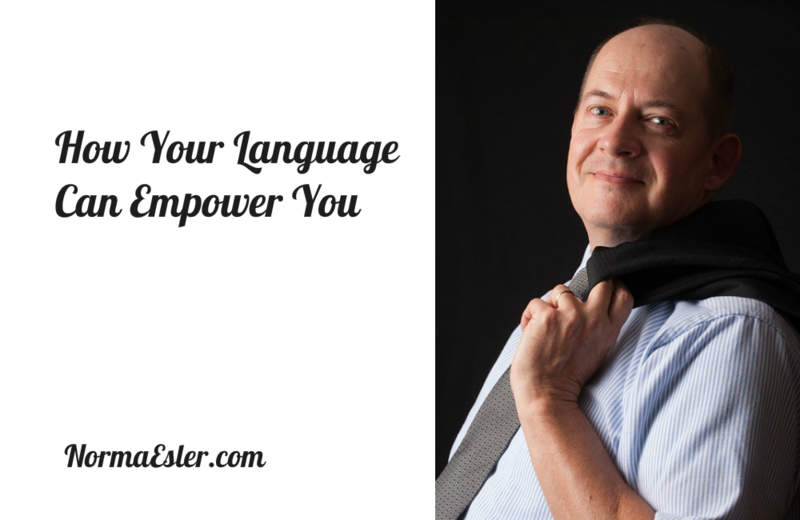 Your language can empower you to become the person you really want to be. I’ll never get this right. Why are they treating me like that, maybe they don’t like me. I am nothing compared to those people. I should be able to handle this; other people can. Murphy’s law – if anything can go wrong, it will go wrong. Do any of these sayings or thoughts resemble thoughts that you sometimes have? Imagine how this type of negativity impacts your empowerment. It’s difficult to believe that you can be successful when you have thoughts that position you as less than or as a victim. If you look closely at many of these examples of negative self-talk, you’ll notice that in many of them there is an implied or direct comparison. Many people get stuck in a spiral of negativity because they’re constantly comparing themselves to those around them. This is completely unproductive. Instead of dwelling on the negative, the goal is to shift your focus on the positive. If negative self-talk is a pervasive habit, you’ll need to work hard to change your mindset. Affirmations can help. Create a statement that makes you feel positive. Here are a few examples of affirmations. I have been given endless talents which I will begin to utilize today. I am a bright light, mandated by God to shine in a dark world. Celebrating the strengths and successes of others can also be helpful. When you stop comparing and focusing on the negative and instead focus on what is wonderful about yourself and others around you, you feel more in control of your world. You’ll start taking more positive action toward living the life that you want to live.